Rancho Hermosa is a 55+ neighborhood near San Diego, California. This active adult neighborhood contains 176 attached homes that are available on a resale-only basis. Homeowners love living in an age-restricted community where neighbors become fast friends over common interests. Rancho Hermosa is also near several everyday conveniences including a grocery store, restaurants, as well as enjoying a prime location just north of San Diego. Neighbors love sharing a scenic neighborhood with like-minded residents. Although there is no clubhouse, Rancho Hermosa is a friendly community where homeowners often greet each other while exploring their neighborhood. Thanks to a homeowners' association (HOA), living in Rancho Hermosa means having more time to do as you please. The very reasonable HOA fee takes care of common area maintenance, giving residents peace of mind, allowing them to know that they can expect to come home to a clean and quiet neighborhood. Rancho Hermosa has 176 attached homes that were developed between 1983 and 1984. These homes range in size from 827 to 1,200 square feet and have two bedrooms, two bathrooms, and an attached two-car garage. Residents love that some of these homes have incredible mountain views, wood-laminate flooring, walk-in closets, and private outdoor spaces. Rancho Hermosa is located in Oceanside, California. There are several shopping centers a short drive away that have an Albertsons, Goodwill, coffee shops, Walgreens, casual restaurants, Lowe's Home Improvement, and a Ralph's. Route 76 is right around the corner and leads directly to the beach. Homeowners also have easy access to Scripps Coastal Medical Center. Oceanside, California, boasts several attractions to keep residents happy. The Oceanside Pier, Heritage Park Village, Oceanside Historical Museum, and Mount Ecclesia are just some of the ways locals like to spend a low-key day. San Diego and its world-renowned attractions are just 45 minutes from Rancho Hermosa. Homeowners can also utilize San Diego's International Airport when traveling farther is on the agenda. Rancho Hermosa is a great 55+ neighborhood for active adults looking for a laid-back lifestyle in Southern California. Check back soon for more information on the lifestyle in Rancho Hermosa. 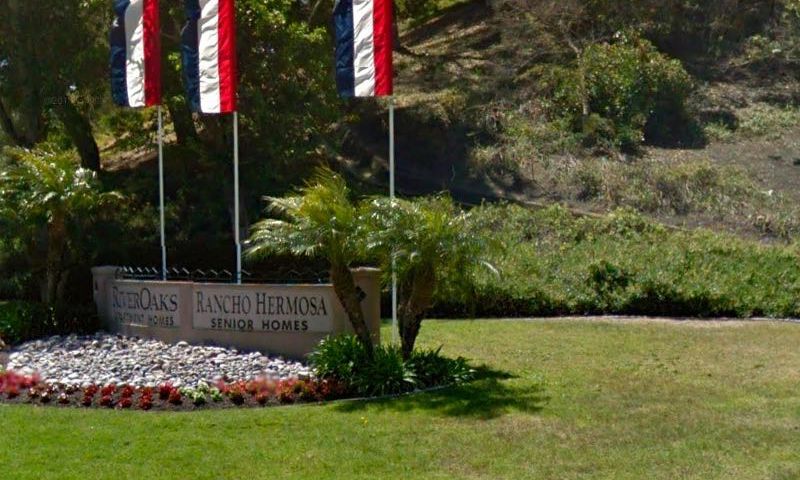 Rancho Hermosa has 176 attached homes that were developed between 1983 and 1984. These homes range in size from 827 to 1,200 square feet and have two bedrooms, two bathrooms, and an attached two-car garage. Residents love that some of these homes have incredible mountain views, wood-laminate flooring, walk-in closets, and private outdoor space. Please Note: Floor plans are not available at this time. 55places.com is not affiliated with the developer(s) or homeowners association of Rancho Hermosa. The information you submit is distributed to a 55places.com Partner Agent, who is a licensed real estate agent. The information regarding Rancho Hermosa has not been verified or approved by the developer or homeowners association. Please verify all information prior to purchasing. 55places.com is not responsible for any errors regarding the information displayed on this website.